Pearson Words Their Way Classroom and Palabras a Su Paso Salón de Clases. The newly revised word study classic now on the most advanced LMS. Did you study Words Their Way in your teacher education program? It’s the essential word study reference for teachers! 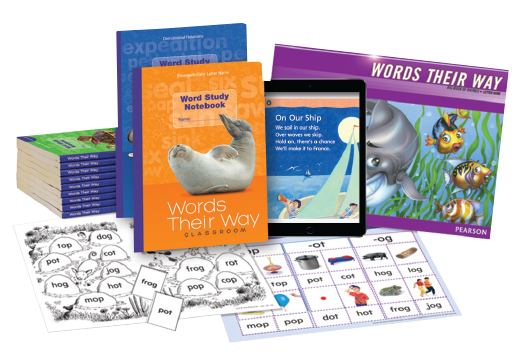 The same great author team now brings you a classroom-ready word study program for Grades K-5. New Words Their Way Classroom and Palabras a Su Paso Salón de Clases use word sorts to help build students’ word knowledge for reading, writing, and communicating. 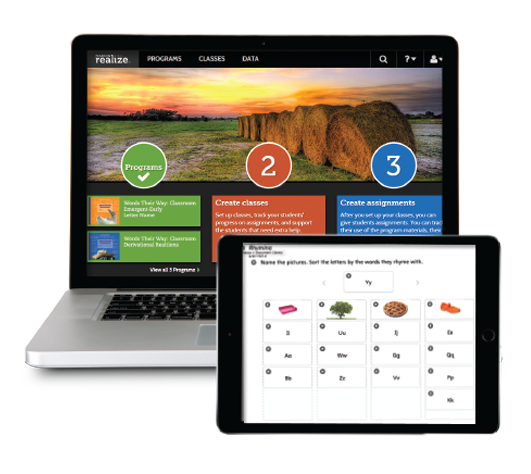 These newly revised editions are available on the best-in-class Pearson Realize LMS™, so you can easily combine interactive online word sorts with hands-on student practice. Model the sort on your whiteboard then let students sort, categorize, play, and examine words on their own. Sorting is one of the most effective ways to support phonics, vocabulary, and spelling. Try it now online! All-New Copyright ©2019! Now on PearsonRealize.com. Home to more than 850 programs with over 5,000,000 users. Please complete the form to request online access to Words Their Way Classroom and Palabras a Su Paso Salón de Clases.